The suspensionof Herman Cain's presidential bid on Saturday intensifies the seeming two-man race for the Republican nomination between Mitt Romney and Newt Gingrich. With exactly one month left before the nation's first nominating contest in Iowa -- and some important holidays in between -- Cain's departure gives Gingrich a golden opportunity to lock up his status as the authentic conservative that many GOP voters are looking for. If this year's volatile primary race has shown anything, it's that Republicans are desperately searching for an alternative to Romney, whom voters fear may be too moderate, and Gingrich is the latest candidate to challenge the former Massachusetts governor in the polls. That said, it's not a sure bet that Cain's exit will transfer to more consolidated support for Gingrich. Romney may not be the conservative favorite, but polls show he's convinced voters he's a competent and competitive contender -- and given Gingrich's numerous flaws, he may not withstand an effective head-to-head match up with the former governor. Firstly, any transfer of support from Cain to another candidate will be marginal -- Cain was already sliding in national polls, and his support had tanked in the critical state of Iowa. The latest Des Moines Register poll of likely Republican caucusgoers, conducted November 27 - 30, showed that Cain's support in Iowa had fallen to from 23 percent in late October to 8 percent. Could Cain become a kingmaker as the race enters its final phase? Cain said on Saturday that he could endorse one of his former rivals, and getting the support of Cain's backers would be nothing to sneeze at, Michael Dennehy, a Republican consultant who worked as a senior adviser to John McCain in 2000 and 2008, told Hotsheet. Still, he said, "I think it's safe to say that any Herman Cain supporters left are likely to go to the candidate is surging" -- Gingrich. Polls illustrate why Gingrich has risen as Cain's campaign has fallen in the past month. Voters who were initially drawn to Cain's novel "999" tax plan were left disappointed after Cain made a number of gaffes suggesting he was unprepared to have substantive policy discussions, especially on foreign policy. A Quinnipiac poll released November 2 showed Cain leading the race at 30 percent -- he was at the height of his popularity. 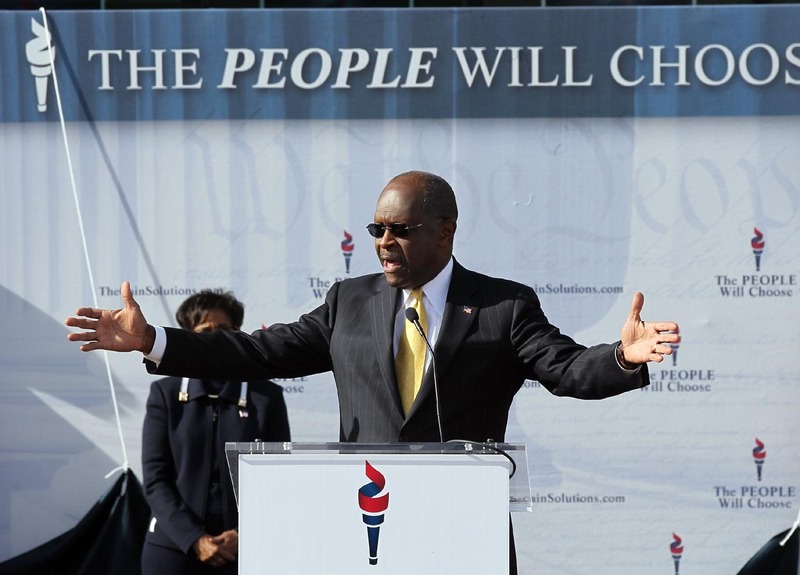 When asked,"what is the main thing about Herman Cain that might make you consider voting against him in the primary?" the most common answer among Republican and Republican-leaning voters was his lack of political experience, at 15 percent. Another 10 percent said his tax policies, and 8 percent said his lack of knowledge on foreign affairs. A CNN poll released released November 21 shows that voters consider Gingrich the candidate strongest in those areas in which they find Cain lacking: Gingrich is the candidate voters think is most qualified to be commander-in-chief (36 percent), with whom they agree the most on issues (25 percent), and the candidate they feel best understands complex issues (43 percent). Cain "had a bold plan and vision for the economy" in his 999 plan, Dennehy said. "In these challenging times, voters want someone who's creative. I think that's why Cain voters now see Newt Gingrich as that kind of candidate who can take over." Still, as the last anti-Romney candidate standing, Gingrich's policy positions are sure to come under increased scrutiny. Voters may also soon acknowledge that, like Romney, Gingrich has a history of taking moderate positions on typically ideologically divisive issues like health care and climate change. Gingrich's personal faults could also be dredged up. He has the advantage that voters should already know about his past, admitted martial infidelity, so it won't be a surprise like the allegations against Cain. Still, his opponents have a few weeks to remind voters about them. That may be why, Dennehy said, Rick Perry released an ad in Iowa this week that emphasizes the role of faith in his life -- subtly hinting at Gingrich's personal flaws may be all they can get away with. "It's such a difficult issue to highlight without overtly attacking your opponent," Dennehy said. "Someone has to talk specifically about it, or it will be glossed over." While it may too risky for the other candidates to mention specifically, their surrogates and supporters could bring it to the public's attention. In fact, an anonymous group that calls itself "Iowans for Christian Leaders in Government" released a slick web video Friday slamming Gingrich on his multiple marriages and affairs. The polls show that spending a month denying claims of sexual harassment took a toll on Cain's likability among voters. If Gingrich has to revisit his old personal failings, it could take a toll on his already-low likability ratings. In that respect, Cain's demise could give an advantage to Romney. Polls predictably confirm that Gingrich isn't viewed as that likable, but more surprisingly, voters in the last CNN poll named Romney the most likable candidate at 29 percent (Gingrich garnered 9 percent). In addition, some voters attracted to Cain's status as a former business executive could turn to Romney, who also has that on his resume. Gingrich's low likability ratings is "a major issue," Dennehy said. "The one characteristic that voters want in their candidate is to be able to connect with them, to associate with them... Newt will never be a warm and fuzzy guy."